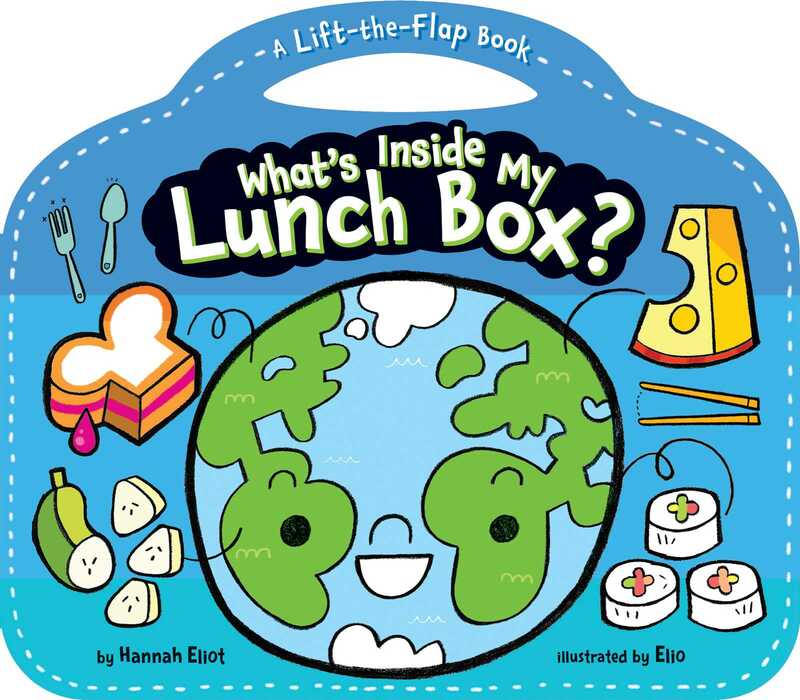 Discover what lunchtime looks like around the world with this fun lift-the-flap book that’s shaped like a lunch box! What’s inside my lunch box? Go ahead and take a peek! We eat diverse foods around the world. So every lunch is unique! Shaped like a lunch box, with lift-the-flaps throughout, What’s Inside My Lunch Box? is the perfect introduction to what kids eat for lunch around the world! This sturdy novelty board book features lunchtime meals from eight different countries (USA, Brazil, China, France, South Korea, Russia, India, and Italy). From dal (lentil stew) in India to Ma-po tofu in China to cheese and jam in France, young foodies will love lifting the flaps to reveal tasty treats underneath! Elio is a family-friendly cartoonist and illustrator who loves bold lines, shapes, and colors. His work starts with pencil and paper and ends in Photoshop. He is also a lecturer at Columbia College, Chicago, in the design department and illustration program, where he teaches courses in concept art, cartooning, and children’s book illustration, along with other illustration classes. He lives in the suburbs of Chicago with his wife, Annie, and their daughter, Genevieve. Book Cover Image (jpg): What's Inside My Lunch Box?